"The hotel was nicely appointed, but needed some updating. The mattress and pillows were too soft. The TV remote control and the fridge didn't work, and the toilet seat was chipped. We heard screaming kids running up and down the hallway. 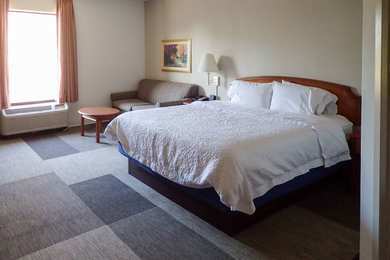 The check-in clerk greeted me warmly, and the staff was friendly and accommodating. There were snacks and drinks for weary travelers. 2017-05-31"
Learn more about Mt Holly Hotels & Motels in our Mt Holly Hotels Guide.